This shop has been compensated by Collective Bias, Inc. and its advertiser. All opinions are mine alone. 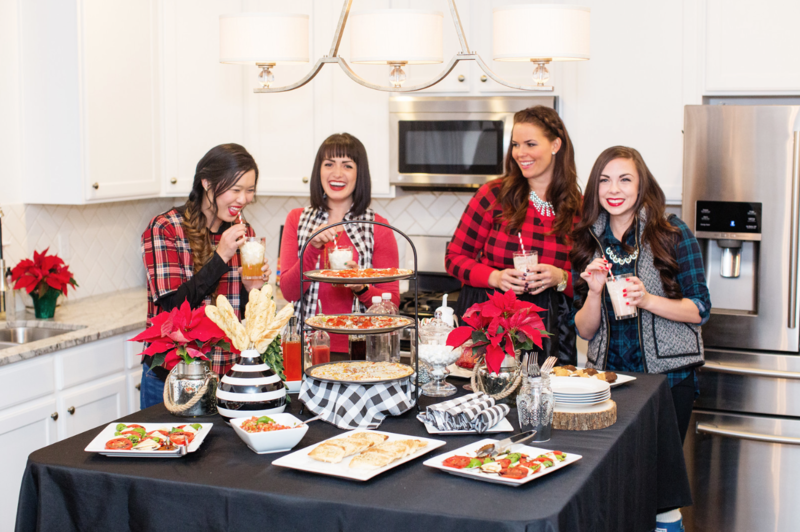 #EasyHolidayEats #CollectiveBias Every year I host an annual Christmas themed “Girls Night In“ (kid free of course) for a few of my favorite ladies. 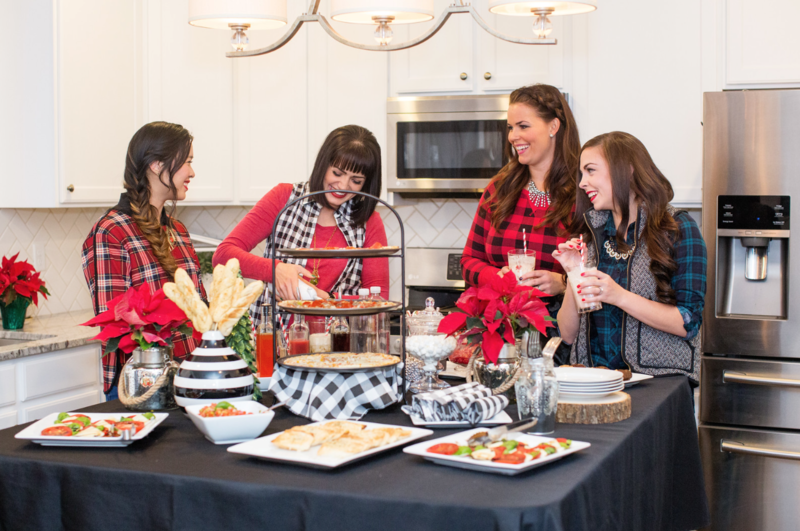 This year I wanted to switch it up from the traditional “Ugly Sweater” and “Ornament Exchange” themes and planned a “Plaid Tidings & Christmas Carol Karaoke Night.” The girls were asked to come dressed in their most festive plaid to enjoy a hot Italian meal and a memorable night of singing Christmas carols, karaoke style. For this plaid themed night, I wanted to serve an array of foods that were fresh and colorful, so I served Italian food. 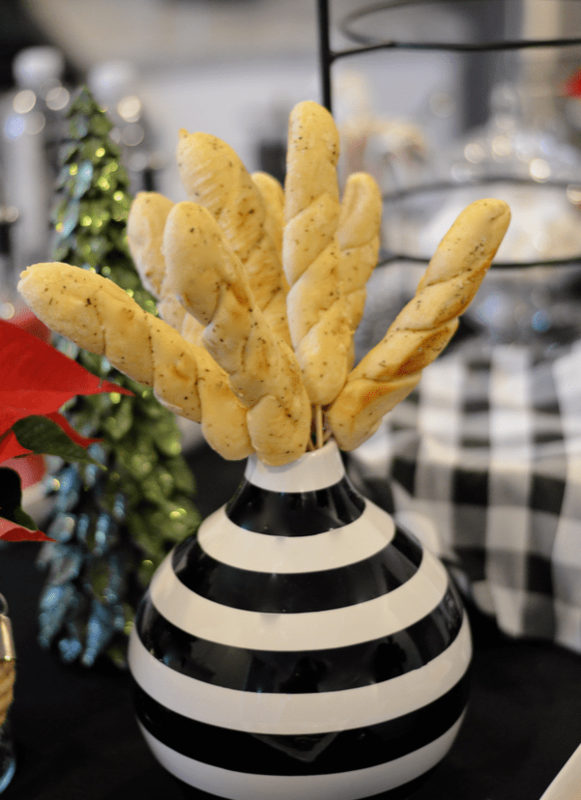 I’d never served Italian food at a Christmas party before, but I have to say, it was a BIG hit! And I loved how easy it was, which is always a nice hostess gift to give yourself! 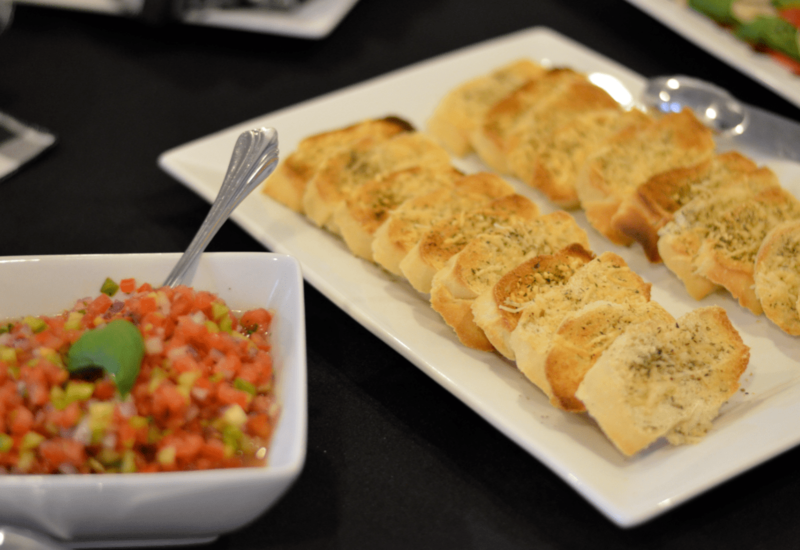 The guests loved the fresh bruschetta, caprese salad, breadsticks, Red Baron® Thin & Crispy pizza, canollis and Italian soda bar (Check for recipes below.) 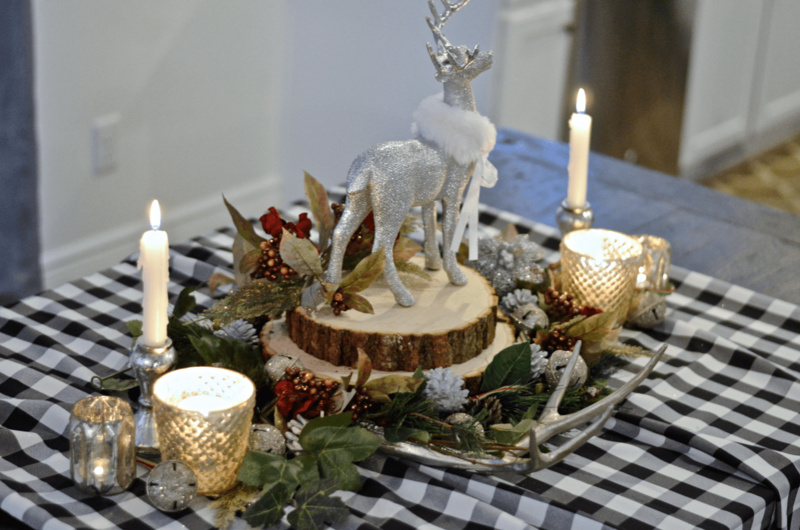 To match the Italian menu, I decorated the table with black and white plaid to keep it feeling festive, without looking like an Italian restaurant. 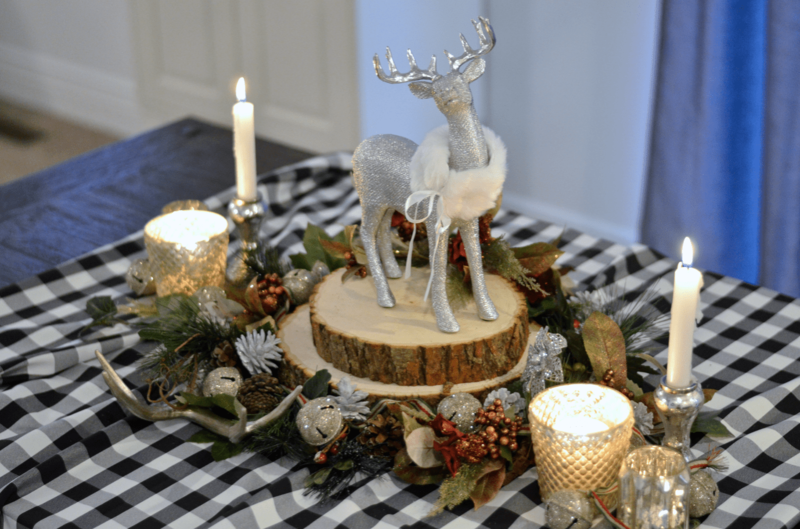 I added a few candles and woodland accents (stumps, greenery and a silver buck) to tie in the wintery feel of Christmas. 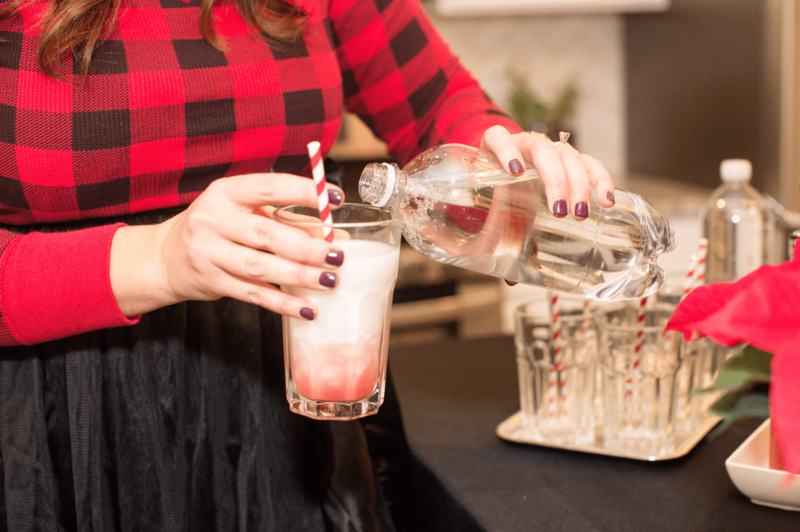 Upon arrival I had guests make themselves a drink at the Italian soda bar. 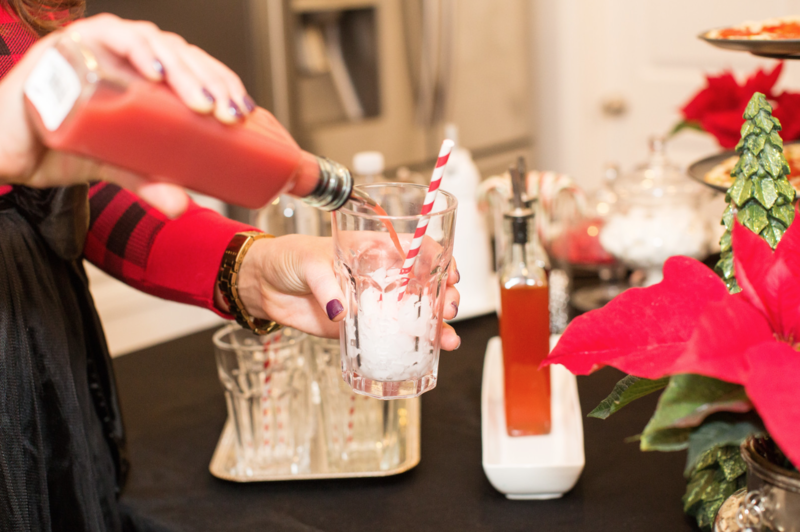 I think its really important to have your guests mingle right away, and making our own drinks was a fun way to get the party started. 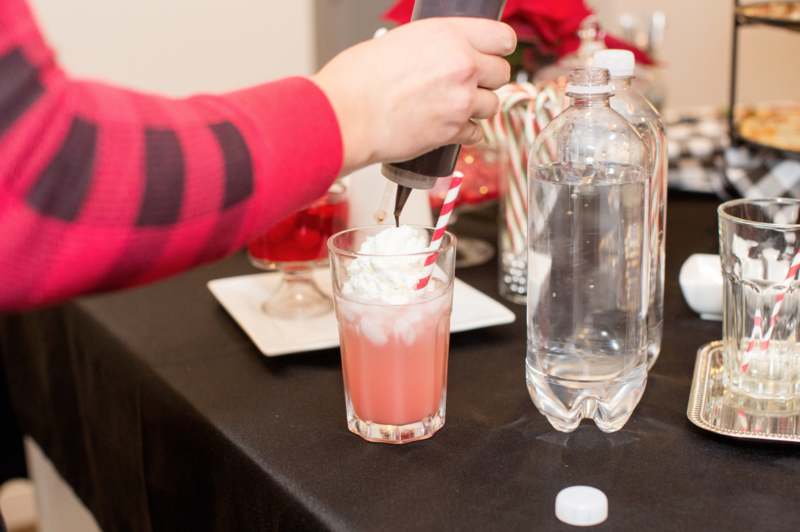 Then pour club soda or carbonated water over the syrup, leaving a little room at the top for whipped cream. 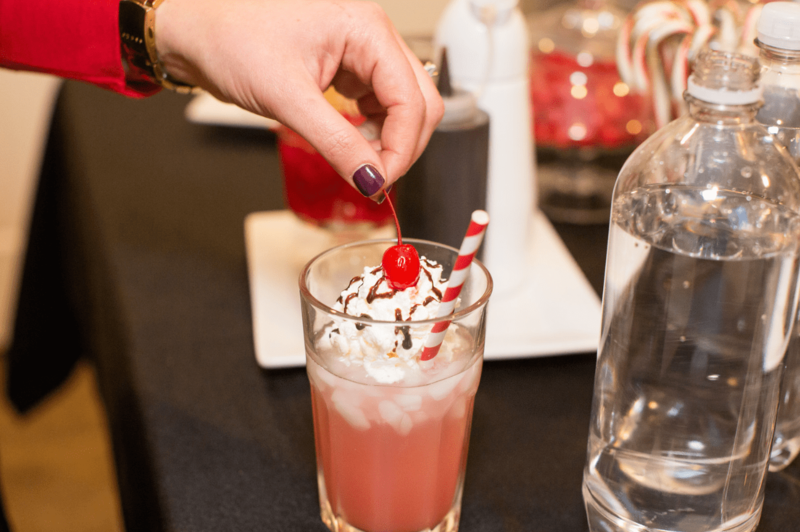 Garnish with chocolate sauce, a maraschino cherry and a festive paper straw. 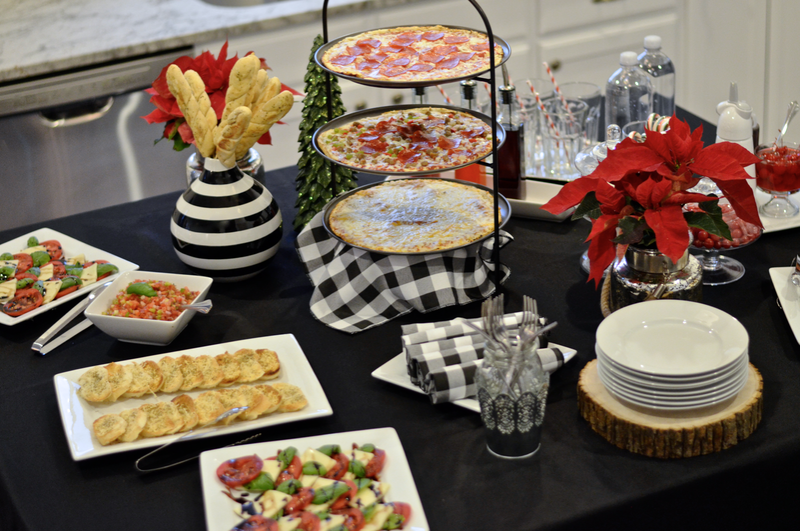 Once all of the guests arrived, we started cutting up the pizzas, dishing up sides and just enjoying the evening. I have to say this was one of the easiest Christmas parties I’ve ever thrown, and it was because I let Red Baron do some of the cooking! Whenever I throw a party, I want the guests to come and just enjoy the night and not have to worry about doing or bringing anything. Consequently, it can put a lot of stress on me to have so many things to do and make that I normally don’t have time to get ready for the party myself. It was REALLY nice to run into Walmart and grab a few Red Baron pizzas that were oven-ready to make this night so much easier for myself. 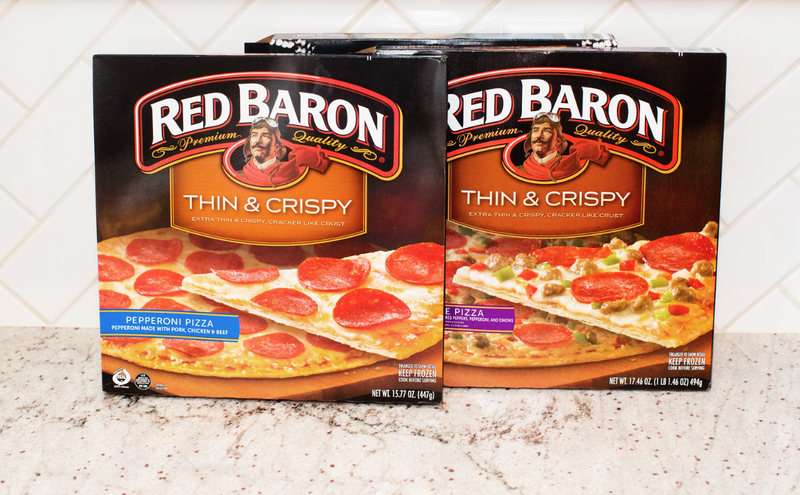 I chose the Red Baron® Thin & Crispy pizzas because they are much lighter than the thicker crust pizzas, they’re loaded with tons of toppings and they cook up quickly. 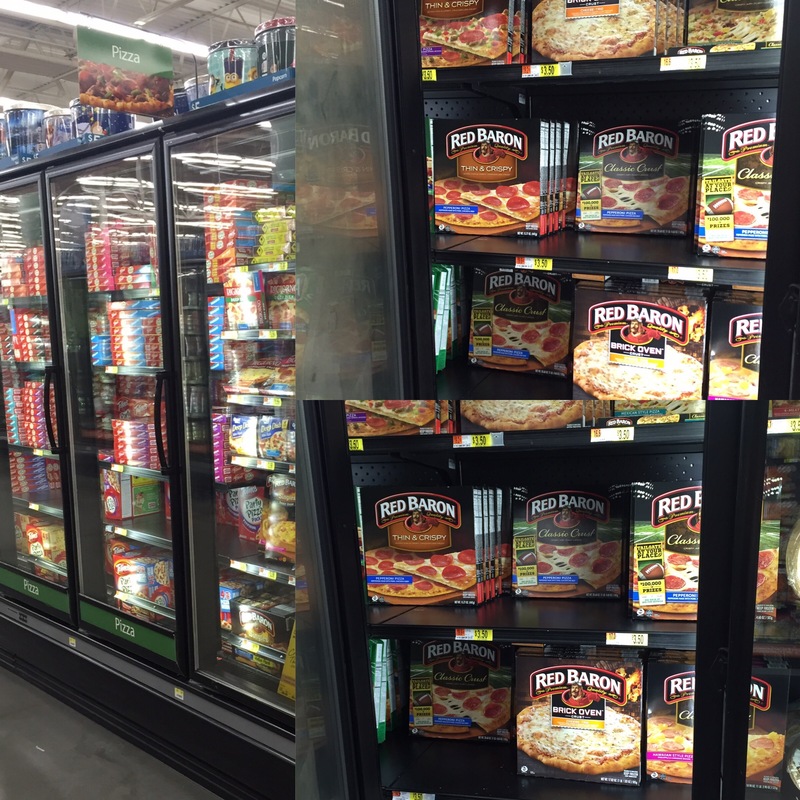 You can find them in the pizza isle at Walmart in the frozen foods section of the store, or find other great flavors on the Red Baron site here. I was also able to save lots of time by picking up some take-n-bake breadsticks from the Walmart bakery. I simply put them on a skewer, followed the baking instructions and served them upright in a black and white vase. And now for the best activity I’ve ever dreamt up… Christmas Carol Karaoke! I never dreamt that karaoke could get any better, until I had my friends sing Christmas Carols karaoke style! If you didn’t know, I LOVE Christmas music! I’d start listening to Christmas music in July if I could! But because the radio doesn’t have stations that play 100% Christmas music until after Halloween, I start listening on November 1st. This activity was so different than anything I’ve ever done at a Christmas party before, and I’d say its something I’d definitely do again. The girls really got into it and it truly was So. Much. Fun. 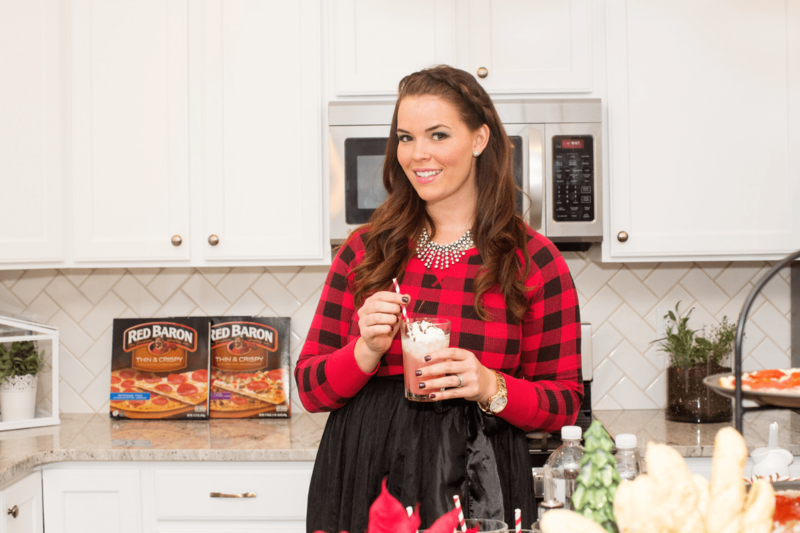 And now, as promised some fun recipes that you can make ahead of time for your next holiday party (so you can actually get ready) while the pizzas and breadsticks are in the oven! Preheat oven to 350°F. 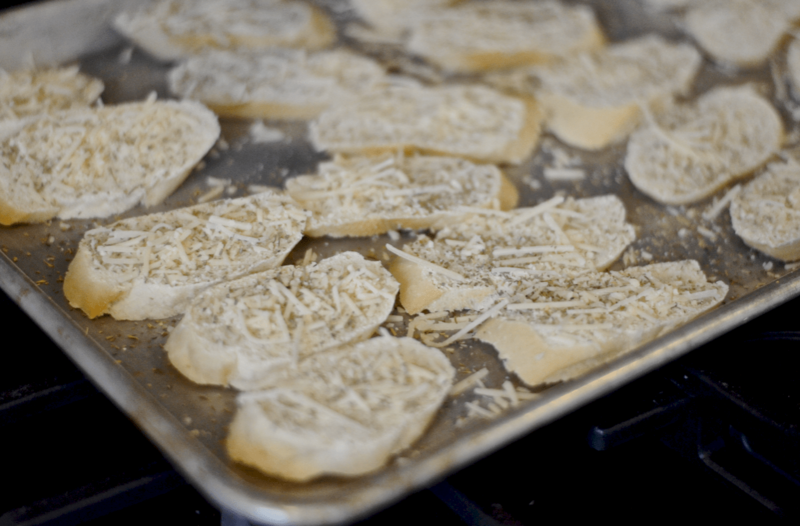 Place bread slices on baking sheet. 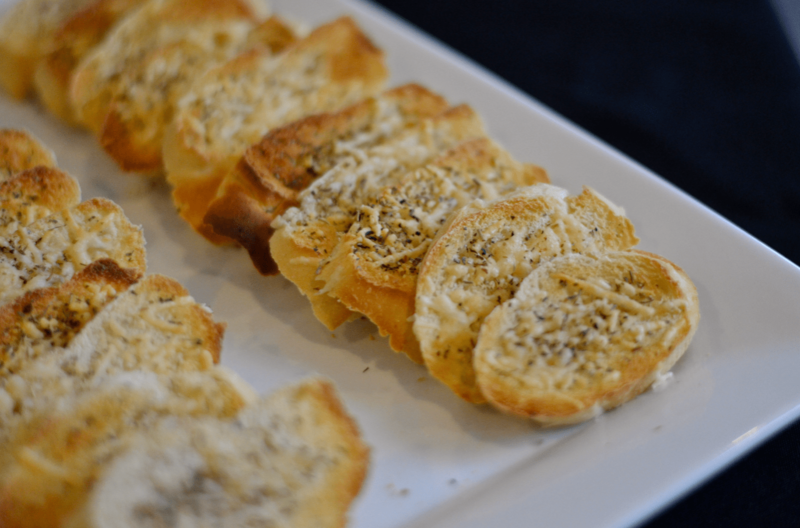 Sprinkle parmesan cheese and Italian herbs on bread. Bake 12 to 15 minutes or until lightly toasted. 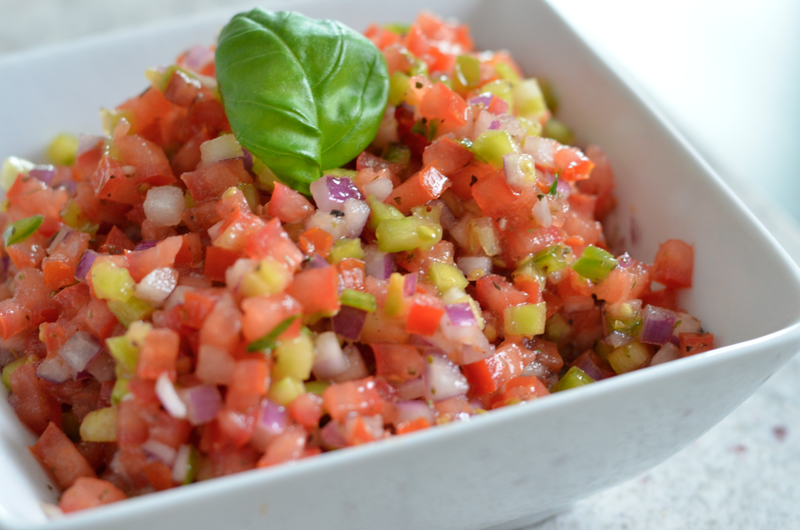 Combine diced tomatoes, onion, olive oil, basil, Italian seasoning, garlic, salt and pepper in small bowl. Add lemon juice to taste. Mix until fully incorporated. Divide tomato mixture evenly over toasted bread. Serve immediately. 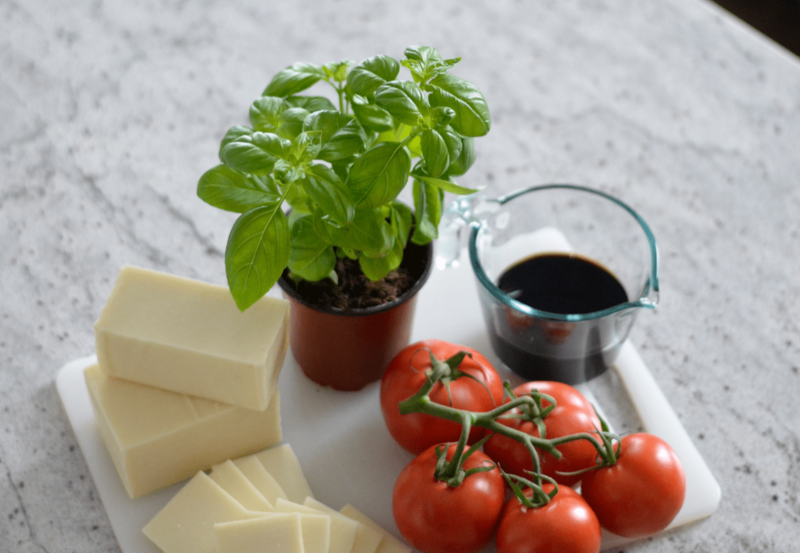 Pour the balsamic vinegar in a small saucepan and place over high heat. Bring to a boil, reduce the heat to low and simmer until the vinegar has reduced to about 1/3 cup (or about 10 minutes). It should have a caramel sauce consistency and should stick to a spoon when done. Set the balsamic reduction aside to cool. 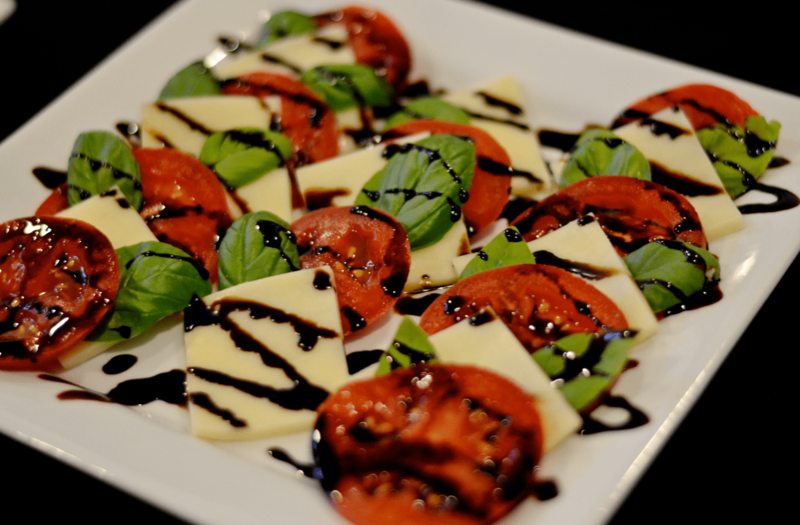 Decoratively arrange alternating slices of tomato, basil and mozzarella on your serving platter. Drizzle with the balsamic reduction, serve immediately. Thanks for stopping by to check out this fabulous pizza and karaoke night! What are your favorite Red Baron Pizza flavors or Italian side dishes?